Media have been opining and hyping Alibaba's USD21.8 billion IPO impact on the global Internet ecosystem and how the company plans to invest its new wealth. Unlike most IPOs, many early investors in Alibaba will have no lock-up period and they can sell their shares today. Though CEO Jack Ma pledged that customers are more important than investors to Alibaba's growth, this uncommon nod towards investors may instead be a bellwether to how insiders view Alibaba's future. If those investors sell on the first day, it may solidify the Chinese technology insider rumors over recent years that Alibaba fears a slowdown of its growth in China. This IPO may then just be an exit for those investors who feared future losses if the company remained private. So with a China slowdown, the company is expected to seek growth overseas in places like Brazil, Southeast Asia, and Eastern Europe. 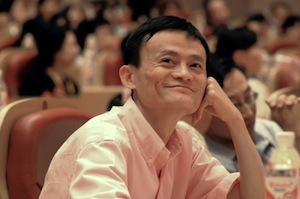 Startups and mature companies are said to be eager to grab some of Alibaba's new wealth. But how does the hype translate into profit for Alibaba? 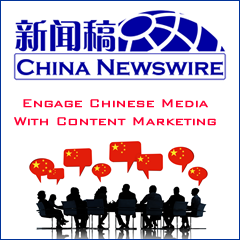 There was hype in the late 1990s when Chinadotcom went public, then sank. There was hype and hope when China's top Web portals Sina.com, Sohu.com, and Netease.com listed, followed quickly by Netease.com's near-suicide and delisting — and the subsequent hush over the industry. Then there was hype for the wireless value-added service companies in China listed in the United States who rose on Western dreams, and crashed on Chinese regulations. And now there is Alibaba, who again is expected to replicate its success in China around the world. Alibaba most likely will be able to globally grow through acquisitions, but its focus will and should still remain on China. 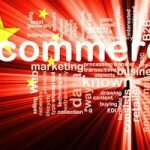 While rumors swirl that its B2B Alibaba.com business is slowing, the company is doing well with its B2C Taobao.com business. And there is enough room in the market for Chinese competitors like JD.com to grow with Taobao.com. Alibaba is the powerhouse in Greater China for e-commerce, and it has honed its customer-centric mantra through years of tests and victories. But perhaps the biggest strength for Alibaba is not part of the Cayman Island company that is listing in New York. Alipay.com is Alibaba's online payment service and it was recently separated away from Alibaba Group and now operates as a separate, independent business that has no direct impact on Alibaba's bottom line. Like China UnionPay's ventures into foreign markets, Alipay may become Alibaba's first true international business. It's unfortunate that Alibaba investors do not directly benefit. A few weeks ago, Amazon.com announced plans to begin operations in Shanghai's new free trade zone to allow Chinese exporters easier access to global customers. Alibaba can do the same thing, but if it expects to truly dominate the entire supply chain, it could purchase a global logistics and courier company like DHL, Fedex, or UPS. Or maybe Alibaba takes a different route, and instead focuses on global retailing strength. Could it purchase a chain of convenience stores? Alibaba already partners with many Greater Chinese retail operators to use the outlets as drop-off points for delivery of goods to customers. But what if it changes strategy altogether? Instead of focusing on trade of physical goods, what if Alibaba focuses on digital consumption? Alibaba could ramp-up its focus on online entertainment investments, and maybe even focus more on business media assets. Maybe Alibaba even gets involved in cryptocurrency like Bitcoin, or invents its own Alicoin competitor. Ultimately, Alibaba now has enough cash to pursue many of these ideas in tandem, but it must juggle those plans with the corporate governance headaches of being a Chinese publicly-listed overseas firm. Today's big payday comes with lots of hope and many more opportunities.